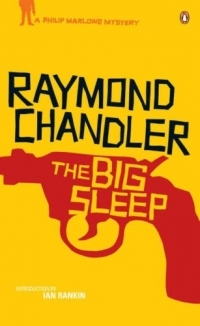 New for 2009, the Festival is launching its very own Big Read in partnership with Penguin Books to get as many crime fans as possible reading in unison one of the classics of the crime fiction canon – The Big Sleep by Raymond Chandler. The Big Read celebrates the seventy-year anniversary since the first publication of the novel that defined the hard-boiled school of crime writing and introduced the world to the iconic detective, Philip Marlowe. Chandler’s anti-hero has become the blueprint for a thousand paler imitations over the years: the laconic loner with a taste for drinks as dry as his wit, the shabby downtown shamus with a streak of the white knight within. The Big Sleep is required reading not just for crime lovers, but for all who enjoy truly great books, so get your hands on a copy from your local bookshop or library and take part in the Theakstons Old Peculier Big Read. For readers living in or around the Harrogate district, the Big Read will be bringing the dark underbelly of Marlowe’s 1930s Los Angeles to a place near you with libraries across the district hosting special Big Read Reading Group events lead by modern day crime author and Chandler buff Martyn Waites. Masham, The White Bear pub – 2.30pm, Wednesday 10 June. Free to attend. Knaresborough Library – 7.30pm, Wednesday 10 June. Tickets £2.50, tel: 0845 300 5112. Places are limited so phone your preferred library to book your tickets. Pick up a book – read it and pass it on!